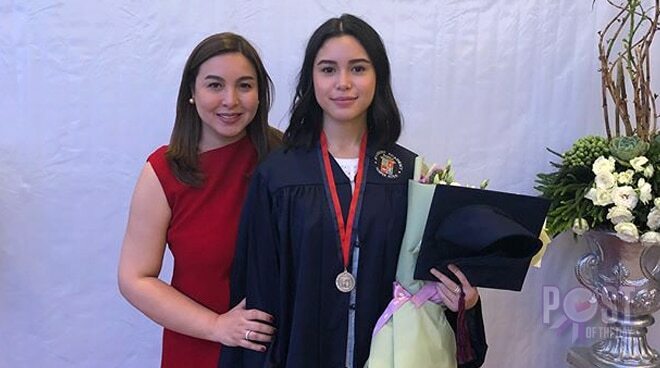 Newbie singer Claudia Barretto has graduated from senior high yesterday at the Everest Academy in Taguig. Sister of actress Julia Barretto, Claudia is called ‘my silver academic awardee’ by her mother Marjorie. “Congratulations to my Claudia, my silver academic awardee. You have brought me so much pride and joy. God bless you on your new journey to college. You have my love and my support wherever life may take you,” Marjorie captioned her post on Instagram. The young star will be taking up Business Management at the Ateneo De Manila University this coming school year. The Barretto clan was in full-force to celebrate the joyous occasion.